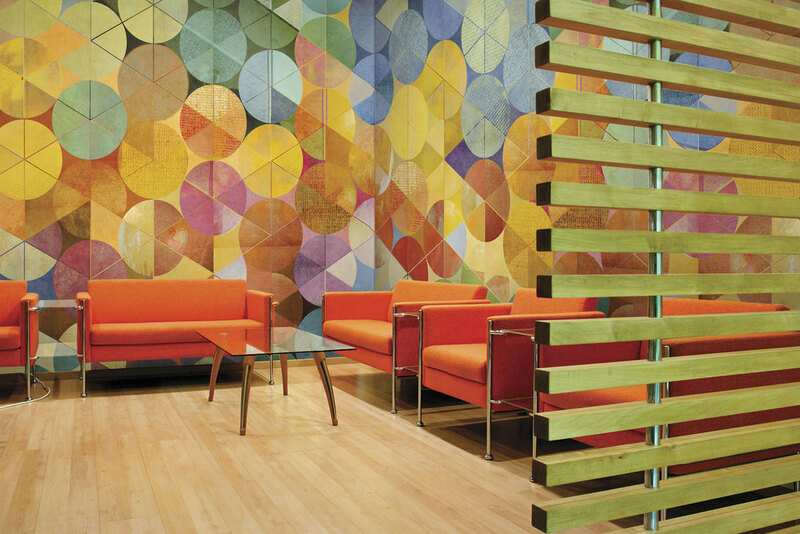 Innovative, high quality design & manufacturing for the commercial wallcovering market, since 1998. 4walls is seeking talented fine artists, illustrators, graphic designers, and licensing agents to license work, design on commission, or take on freelance production work for our studio. Be a part of our mission to provide amazing wallcovering design and manufacturing for the commercial interior design market. How Will My Artwork Be Used? Please fill out the form below if you're interested in licensing your work, creating commissioned work, or assisting us on a freelance basis. Our creative staff will review your submission and follow up within 3 - 5 business days. As a leading boutique designer and manufacturer of wall and window murals for the commercial contract market throughout North America since 1998, we are well-respected within our industry for our commitment to providing our customers with exceptional and unique designs, as well as superb digital manufacturing and impeccable quality control. In a nutshell, we design and produce large-scale, customizable wall murals and window film graphics for commercial interiors. We go to market through a network of commercial distributors with an emphasis on restaurants, hotels, healthcare, retail, and corporate spaces. In addition to the designs generated by our in-house studio, we have a long history of licensing and commissioning artwork from fine artists, illustrators, textile designers, and more, and we continually look to expand those relationships. If you would like to learn more about our commercial program, Level Digital Wallcoverings, please visit www.findyourlevel.com. Licensing offers an additional revenue stream as well as exposure to new markets. 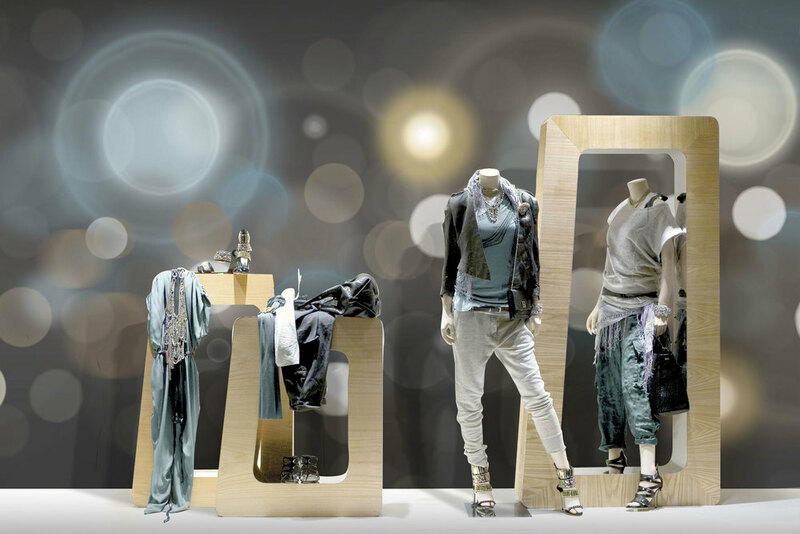 Commercial installations are higher dollar value and offer prominent visibilty of your artwork. We have over 10,000 books in the libraries of the architecture & design community (essentially catalogs that feature our designs, in-house and licensed), and your profile will be featured alongside your work in those books as well as on our website. We also do a variety of additional marketing pieces for the design community that feature this work. In many cases our creative team identifies or anticipates a design trend, and will decide to create new art to satisfy that need. Occasionally an in-house designer will be given the assignment, but more often it is commissioned to a freelance designer. This new artwork is almost always created digitally in either Photoshop or Illustrator, though we still commission hand-painted art from time to time. Because of the custom nature of our designs, we have an ongoing need to modify and adapt the designs in our library. Production work can range anywhere from simple color or scale adjustments to highly advanced modifications to a design. Some of this work also involves high resolution photo editing - digitally inserting our murals into walls in photos of commercial spaces, to help designers visualize our solutions. Excellent Photoshop skills are a must. We create marketing materials for our distribution customers on and off throughout the year, mostly with Adobe InDesign, and have a need for graphic design services as well. If you are interested in licensing your work to us, there are a few things you should consider. The following are the basic condtions that are required of any licensed work. Please review these carefully; out of respect to you and your work, should any of these be potentially problematic, then licensing may not be a good fit (though there are other creative opportunities as defined above). Rights in the US and Canada. Rights for wallcovering and window categories only. A Five (5) year term. This is the life in the market of the books with which we market our collections. Exclusivity. We, and our customers, invest heavily in getting exposure for the designs, so we require exclusive rights to sell in our categories: Wallcoverings & Window Film. The ability to make color or scale adjustments to your artwork. Our commercial customers (typically interior designers) almost always require these changes to adapt the mural to their interior spaces, and this work will not be submitted for your approval or review; the pace of our projects moves far too quickly to permit that, and our interior designer clients will always require that we include their requested alterations. In all cases this work is performed by seasoned professionals, with the utmost respect for the integrity of the artist’s original work, and is limited to only what is necessary to meet the needs of the contract market. View Examples: Click here for visuals and more details about this topic. As our mural designs are produced at very large scale, it is critical that we start with the highest resolution digital files or the largest hand painted originals that we can. For obvious reasons neither a web-size jpeg nor a 3" x 3" original painting will reproduce well at 10 feet high. If your work is very small to begin with, or if you no longer have access to the original and your digital files are low resolution, we may not be able to use your work. For hand paintings, an original that's approximately 2 feet by 3 feet is a minimum size requirement. For digital work, a native file that is at least 5,000 pixels in its smallest dimension is required. In both cases, these are minimums; bigger is definitely better! These are guidelines and there are other factors that determine if the size or resolution of a design is suitable. If you're unsure that your work meets these guidelines we will be happy to discuss that with you after we've reviewed your submission. With that said, we have a long history of successful licensing collaborations that have been mutually beneficial to both 4walls and the artists. View Examples Here. As these customizations are requested, it is not feasible to present them to you for review or approval; the pace of our projects moves far too quickly to permit that, and our interior designer clients will always require that we include their requested alterations. In all cases this work is performed by seasoned professionals, with the utmost respect for the integrity of your original work, and is limited to only what is necessary to meet the needs of the contract market. We offer a variety of competitive compensation arrangements depending on the type of work involved. Commissioned design work or freelance production work is always assigned with a budget that is mutually agreed upon up front. We also license new and existing works - in almost all cases only for our markets - in both flat fee and royalty arrangements.